Michelle hails from Vancouver, BC and is currently living in Sunne, Sweden where she teaches English to Afghani and Syrian youth. 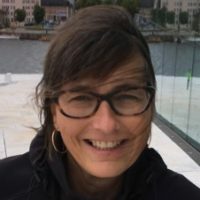 Her research interest lies in an analysis of ESL teaching practices according to the mandated curriculum, relevant literature, and within the current sociopolitical climate in Sweden. She is ultimately interested in contributing to the existing body of knowledge regarding ESL teaching to refugees and asylum seekers by recommending additional best practices that embrace the varied individual backgrounds, life experiences and sociocultural aspects of the target audiences.